We love the summer time, as it’s a good chance to get a healthy dose of sunshine and feel totally happy as you get outdoors more and have some fun! And the best way to make the most of the summer time is to ensure you’re feeling good inside and out before the warmer months roll around. 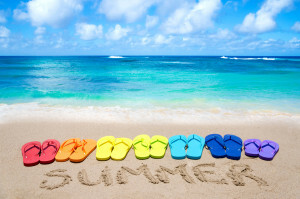 Let’s face it, the option to hide under several layers of clothing is rapidly disappearing, which, to many, means it’s time to prepare your body for your summer holiday and the sunshine season in general! So, as well as digging out the razor to tackle any wayward hair, moisturising dry patches of skin, sorting out your dull winter tresses and beautifying parts of your body which haven’t seen the light of day since the middle of 2016, it’s fair to say you could be hoping to tone your body up too. There are, of course, those people who keep in shape and stay looking good all year round – and if you’re one of them, have yourself a great big pat on the back. But if, like many, if you’ve let things slip over the winter months, you may be thinking now is the time to make some changes. It might be only March, but as with anything great, it all takes work and when getting your body fit and healthy is on the cards, the only way to do it is by putting a good deal of time and effort in to getting there. So, the first big favour you can do yourself, is to bin the excuses. Then, put a plan in place to get yourself doing some regular exercise, make a big effort to eat healthier – and do it! Pretty soon you’ll be noticing the difference and getting excited about the brand new you. Get Your Summer Body At Physfit! The biggest plus to getting fit and healthy has to be the massive boost that it brings to mind, body and soul. And, with the happy, feel-good vibes of summer just around the corner, there couldn’t be a better time to get yourself ready to make the most of it. If you’re looking to achieve the body beautiful in time for summer, then get in touch with us today and get your summer body at Physfit.